We Singaporeans love a good deal on our purchases. We didn’t gain an international fame of being “Kiasu” for nothing. In this article, we are going to embrace the “kiasu” culture and introduce some really useful tools that can help Singaporeans save more! It is without a doubt that Grab and Uber’s disruption in the taxi industry is improving the lives of Singaporeans. Not only did they help make up for the shortfall in the taxi industry, consumers are saving on their rides. One way to save even more is the use of available Promo Codes whenever we book our ride with these apps. These Promo Codes change from time to time and it is not easy to keep up with it. A really cool initiative by the name of TaxiBot helps one solve such inconvenience. With TaxiBot, consumers can start a chat with them through Facebook Messenger as shown below. From there, consumers can choose between Uber, Grab, Comfort or all of them for better comparison. The app will generate a list of available Promo Codes, making it really convenient for consumers. Assuming one takes 6 rides each week, using a S$3 promo code from TaxiBot. He will end up saving close to S$864 that year. You now have the perfect tool to save more on your rides! You are welcome! Going on a date night should not leave one with sweaty palms. The monetary damage for heading to that restaurant or cafe with a pricey menu can now be reduced with the help of the Entertainer mobile app. The Entertainer mobile app offers ” Buy One Get One Free” offers for various restaurants, beauty salons, health & fitness, leisure activities and many more. These offers are always Buy One Get One Free, valid 7 days a week (excluding public holidays) and all year long! Simply purchase the product best suited for your lifestyle to enjoy offers at up to 2,000 offers at up to 500 venues. Choose between the “Singapore 2017” package or “Cheers Singapore 2017” package if you are an alcoholic. Do note that the products are valid from 2nd Jan to 30th Dec every year, with the price of products getting cheaper as it gets closer to the end of the year. One can get his Entertainer now for S$75 to enjoy deals till 30th December 2017. Singaporeans save close to S$645 on average with the use of the app every year. Imagine getting a few dollars back when your purchase that favourite top from Asos.com or your staycation on bookings.com. Shopback.sg offers cashback for close to 1,300 global & local e-retailers when you shop through their platform. The simple mechanism behind it is simple. Online e-retailers offer Shopback a commission for referring consumers to shop on their site. With every transaction, Shopback shares this commission with their consumers in form of cashback. Singaporeans on average, spend S$155 a month, or S$1,860 a year, on retail purchases and travel bookings online. Assuming an average of 5% cashback for all these purchases done on Shopback, one will find himself saving S$93 that year. We are not really an advocate for excessive spendings on shopping. However, if you must, do shop smarter and save yourself some money! Looking for promo codes for Deliveroo, Lazada or Pedro? We got just the right website for you to obtain your promo code. Everysaving.sg is a free website that searches and collects the best promo codes. Simply search for promo codes from the website and apply them to save on all your purchases. 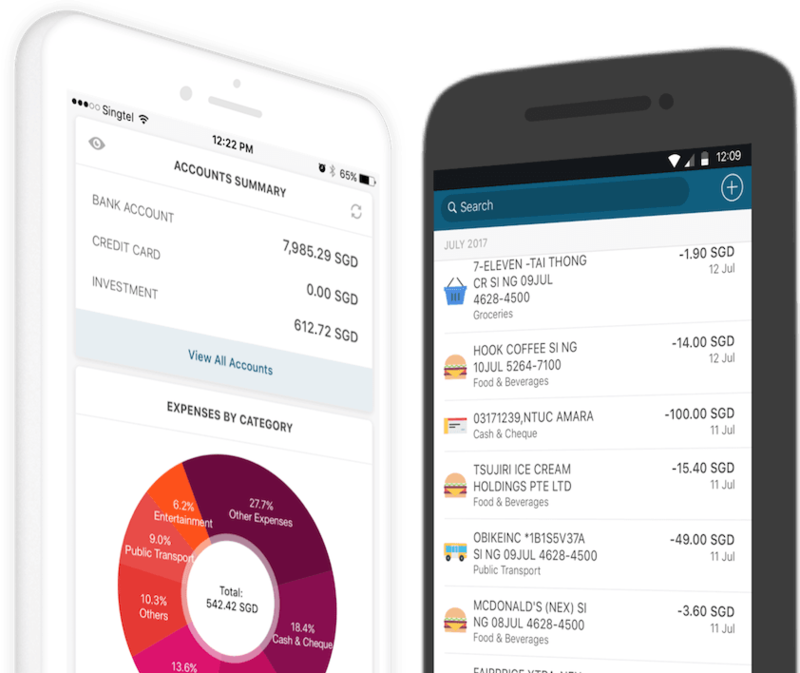 Well, and of course, if you would love a FREE budgeting app to help you keep track of your expenses, Seedly will gladly be at your service.